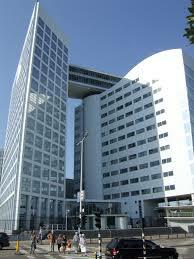 Lockerbie Affair and African States’ early support for the establishment of the International Criminal Court. Over the last few years, the relationship between the International Criminal Court (‘the Court’) and few but influential African states such as Libya, Rwanda, Kenya and Sudan can be defined as primarily antagonistic. Such states managed to influence the African Union (‘AU’) to adopt a stance that accused the Court of being a politicised institution, controlled by the most powerful states to selectively target African personalities. Consequently, the Assembly of the African Union the supreme organ of the Union adopted resolutions demonstrating African Union’s dissatisfaction with the manner that the Court was operating. It also passed resolutions asking African Union states which are also parties to the Rome Statute, the treaty that established the International Criminal Court not to execute the arrest warrants issued against the Sudanese President Omar Bashir and Muammar Gaddafi of Libya. This rancorous relationship between the two institutions has already been widely discussed in both published and unpublished academic literature, including the blog sphere. The main focus of the discussion has been to establish whether the claims by Africa states that the Court is politicised and is focusing on Africa were genuine or exaggerated. This blog post focuses on a question that appears to have not received adequate attention. The question is why did African states supported the establishment of the Court, if they knew that, one way of the other, it could end up having jurisdiction over its citizens (including sitting heads of states). This post argues that one of the reasons behind African states’ early support for the establishment of the international court was the Lockerbie affair, which started in 1988 between Libya and three permanent members of the United Nations Security Council (namely France, United Kingdom and the United States). At the centre of the affair was the dispute between Libya and the three UNSC member states over the trial of two Libyan who were suspected of being involved in bombing of Pan American Flight 103 over Lockerbie, Scotland and killing more than 250 people. It is argued in this post that the lack of an international court with undisputed jurisdiction to investigate the suspects of Lockerbie bombing, combined with the manner that the United Nations Security Council handled Lockerbie Crisis, contributed to African states’ early supportive attitude and behaviour towards the establishment of the Court. The post begins by outlining the two dominant explanations offered for Africa’s early support of the Court before it introduces the third explanation the Lockerbie affair. The two dominant explanations behind African States’ early support for the Court. Africa had a particular interest in the establishment of the Court, since its peoples had been the victims of large-scale violations of human rights over the centuries: slavery, wars of colonial conquest and continued acts of war and violence, even in the post-colonial era. The recent genocide in Rwanda was a tragic reminder that such atrocities were not yet over, but had strengthened OAU’s determination to support the creation of a permanent, independent court to punish the perpetrators of such acts. ‘[i]n view of the crimes committed under the apartheid system, the International Criminal Court should send a clear message that the international community was resolved that the perpetrators of such gross human rights violations would not go unpunished’. The second explanation is linked to the indignation shown by delegations from several states attending the Rome Conference including African ones against the United States’ approach and proposals during the negotiations. Thus, this isolated the United States, while galvanising other states to support the establishment of the Court. One of the historical contexts in which the Rome Statute was drafted was the Lockerbie affair. The affair pitted Libya against the three permanent members of the United Nations Security Council (the United Kingdom, the United States and France). The issue at hand was the extradition of two Libyan nationals, suspected of bombing Pan American Flight 103 over Lockerbie, Scotland and killing more than 250 people. Libya refused to extradite the two nationals to either the United States or the United Kingdom. The legal basis of this rejection was the Convention for the Suppression of Unlawful Acts against the Safety of Civil Aviation (1971), which allows for a state either to prosecute or extradite. Libya indicated that it was ready to investigate and prosecute the two suspects and was even ready to invite international observers to the trial. The three superpowers were not convinced. On 3 of March 1992, Libya filed an application with the International Court of Justice contending that neither the United Kingdom nor the United States had the right to compel it to surrender its nationals. In the meantime, the United States and the United Kingdom reverted to the United Nations Security Council and imposed sanctions on Libya, instead of waiting for a decision by the International Court of Justice. The then OAU disapproved of the manner in which the United Kingdom and the United States used their positions in the United Nations Security Council, imposing economic sanctions on Libya as punishment for its refusal to hand over the two suspects. The crisis dragged on for years, as there was no appropriate forum agreed upon by both the United States, France and United Kingdom on one hand and Libya on the other, to investigate and prosecute the two suspects. In fact, the former Libyan leader Colonel Gaddafi made reference to the need for an international criminal court when he told a Dutch television interviewer that ‘an international court is the solution with judges from America, Libya, England and other countries. George Odartey Lamptey, from Ghana, brought up the Lockerbie debacle during the U.N. Sixth Committee’s 41st meeting in 1994, while discussing the establishment of the International Criminal Court. He made this reference during the submissions of the amendments to the draft resolution A/C.6/49/L.24 made by his delegation. The amendments introduced in the resolution a specific operative paragraph, stating that the Six Committee had decided to ‘convene a United Nations conference of plenipotentiaries for a period of 4 to 6 weeks in the spring of 1996, to elaborate and adopt the statute of an international criminal court.’ The majority of amendments made by Ghana referred to the urgent need for United Nations plenipotentiaries. [h]ad such a court already been in existence, the problem that had soured relations between the Libyan Arab Jamahiriya and the United States of America, the United Kingdom and France would not have arisen. As it was, the Libyan people were suffering because they would not let their nationals go on trial before jurisdictions in which they had no confidence. Ghana’s amendments were supported by the Nigerian and Malaysian delegations, but opposed by France and India. In 1998, OAU expressed its frustration at the Security Council’s handling of the conflict—and its refusal to remove the sanctions on Libya in particular—by adopting a resolution declaring that that member states were no-longer going to comply with the United Nations Security Council Resolutions 748 (1992) and 883(1993). The OAU resolution was passed on the 10 of June 1998, five days before the start of the Rome Conference. One can therefore not rule out the possibility that Lockerbie affair may have played a part in influencing the positions taken by African states during the Conference. This included the African states’ support for the establishment of a Court independent of the United Nations Security Council. —especially with regards to the role of the Security Council. Summary Record of the 41st Meeting of the Sixth Committee , U.N Doc A /C.6/49/SR.41, 12 December 1994 para 22. Previous Previous post: The International Criminal Court in Libya: a new leeway for fair trial concerns in determining the admissibility of a case.